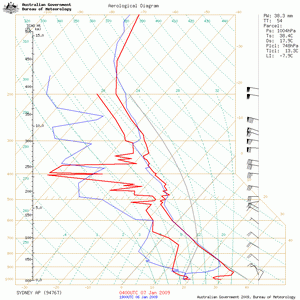 Looking at the morning soundings it didn't look like much would develop today. 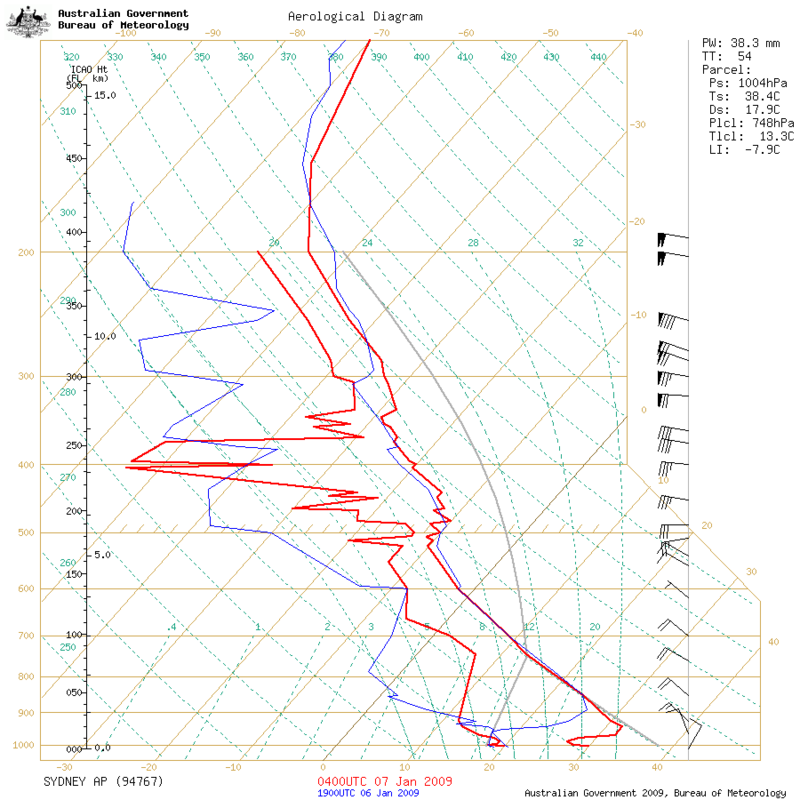 However moisture above the boundary layer certainly improved and convection seemed to have kicked off in the Sydney basin and elsewhere around the 750hPa level. The lapse rates are quite impressive. Some hail was reported earlier at Rouse Hill though no size was given. It was great the rainfall from the storms managed to miss the SCG with an exciting finish to the test match a short while ago. Hornsby. It then started to break up as it passed out over the Hawkesbury - Ku-ring-gai area. Very heavy rain was experienced and minor hail where we were just on the edge of the core in the Hills area. NE, this changed to rain falling from the whole cell. I'm sure I'm not the only one that doesnt really understand what I'm looking at. I was not home but Imelda and Kimberly reported pea sized hailstones here at Schofields from the same storm! Worst luck! Anyway, I got home there was clear evidence of large drops of rain patterns in the soil. The flight I was on landed in Sydney at around 5:45 in the evening, and we flew around the southern edge of these storms probably at around 5:20pm or thereabouts. Not the most exciting convection that I have viewed from the air, although the complex did lay out a nice outflow boundary.